We’d love your help. 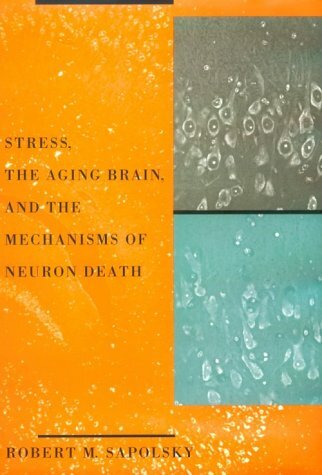 Let us know what’s wrong with this preview of Stress, The Aging Brain, And The Mechanisms Of Neuron Death by Robert M. Sapolsky. Looking beyond the relationships between stress and physical illness, this book suggests that stress and stress-related hormones can also endanger the brain. Strategies to reduce stress and methods to protect neurons from further damage are proposed, and the relevance for humans of the animal research findings are clearly delineated. To ask other readers questions about Stress, The Aging Brain, And The Mechanisms Of Neuron Death, please sign up. This book is what made me want to be a neuroscientist. In this book, Sapolsky describes glucocorticoid cascade hypothesis and lays it out in a way that shows how close the frontiers of science can be and how science works as a living thing, full of thoughtfulness and creativity. It's slightly technical (one probably needs a year of biology) and portions are out of date, which makes it hard to recommend, but this book changed my life. From the publisher: Looking beyond the relationships between stress and physical illness, this book suggests that stress and stress-related hormones can also endanger the brain. Strategies to reduce stress and methods to protect neurons from further damage are proposed, and the relevance for humans of the animal research findings are clearly delineated.